Are you spending too much time and money keeping your printers running? Halsey & Griffith created Virtual Supply Closet so that you never have to think about your printers’ toner and service needs again. We simply monitor your toner and maintenance kit usage, and when it’s time for new supplies, we contact you! And best of all – this service is FREE! 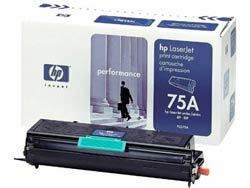 We provide best in class toner and maintenance kits for Ricoh, Lexmark, HP, and many more quality brand printers at competitive prices. Plus we provide you with a Dedicated Fleet Adminstrator to monitor your entire printing environment and notify you when supplies are needed! So stop searching for printer toner and supplies. Contact us today to learn more about how Halsey & Griffith’s Virtual Supply Closet can manage your printer toner and maintenance needs! *Price Match Assurance based on cost per page at actual toner yield.